Do you love a place with tropic tunes on the beach and tons of people in their "wet suits" gathering for a cocktail? 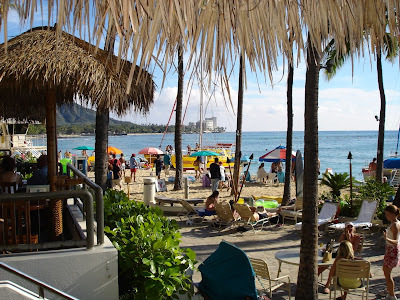 If so, then you will love Duke's Barefoot Bar - Waikiki, Oahu! 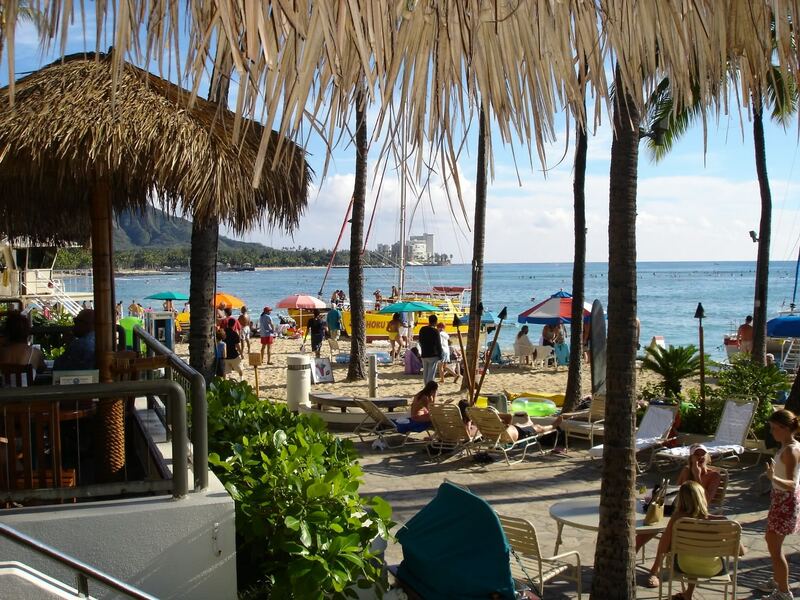 Named after the Father of International Surfing, Duke's is located right on Waikiki Beach in Honolulu. This was our favorite "wet spot" while vacationing in Oahu. This place is always jumping with live concerts on the beach every Friday, Saturday and Sunday. Need a bite to eat? Duke's has burgers, sandwiches, pizzas and other great food. This was our favorite "wet spot" while vacationing in Oahu... great food, music and lots of people watching! What a beautiful view of the beach! This looks like such a fun place to vacation, lots going on, but still being able to relax. I love the beach, and this picture shows why. It is so beautiful, peaceful, and so relaxing.